Despite the obvious constitutional problems and despite its obvious intolerance for the Christian ethics of millions of its citizens, the bill is presently sailing through — passing two committee votes by 8–2 and 8–1 margins. It may come up for an Assembly vote as soon as this Thursday. French is right in saying that the State is establishing an official and exclusive State Religion, though I don’t think it is a religion of sexual libertinism. Sexual libertinism is just one of the doctrines of this religion. It is the religion of Unholy Progressivism, also known as Marxism, Socialism, or Communism. It apes Christian love and compassion as it subverts and inverts it. Another thing French has right, the Left’s goal is to defeat and dominate, to plant Orwell’s famous boot in a human face forever. Lest it be unclear, this is not some theory that applies to someone else. You may not be interested in the Dictatorship of the Proletariat (really the Dictatorship of the Well Heeled and Politically Connected, as history has always shown), but the Dictatorship of the Proletariat is interested in you. They are coming for us, for me and for you, they just can’t help themselves. So its time to get on the horn to your legislators in Sacramento and let them know what you think. You may say, “Oh, they don’t listen to me anyway.” If you were by yourself that would be true. That is just exactly what they want you to think, “Its just me, there is nothing I can do so I may as well do nothing.” B.S. But you are not by yourself, and you won’t be by yourself. Pass the word, and to it pronto. The more folks call – CALL! – there will come a threshold point at which even these insane clowns can’t remain clueless, secure as they are in their sanctimonious self-satisfaction, in the face of massive public opposition. So call the SOBs and give them a piece of your mind, you’ll still have plenty left over. And I say, and will write about it in the future, get ready to mount some serious civil disobedience. So to follow up on previous posts, I did indeed to to the range yesterday with my new Springfield M1A SoCom. A very nice shooting gun. I sent 100 rounds downrange and really made the IRS agents down there nervous. 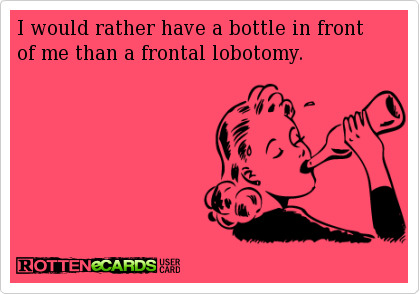 Too bad there weren’t any Loony Lefties, at least that I could see. Ugh. Here it is again. I feel just like a kid again, sitting at the dinner table while the one, awful, revolting vegetable stares back at me, getting colder and colder while Mom glares at me and reminds me again that I don’t have permission to leave the table until I’ve finished my vegetables. Even if it takes all night. I would have preferred to go to bed hungry, but its too late for that, the rest of dinner was fine. Which must have been doubly infuriating for her as I was the ONE of her five kids that would otherwise eat anything and everything. THEY all got to leave the table, vegetables eaten or not, but not me, no, because as the eldest I had to set an example for the rest. So I’d sit there until I couldn’t stand it any more, usually because either there was something good on TV, which I couldn’t see but could hear just fine, or I had to go to the bathroom. Eventually it came to a point where I would have to steel myself and, gagging, with tears in my eyes, choke down at least some of the cold, horrible mess so that I could get on with life. The one time I got away with not eating it was that awful eggplant, which I promptly up chucked back on to the plate. Once Mom saw that she gave up and let me go. She was not happy about it, let me tell you. But today, knowing that Uncle Sam is nowhere near as merciful as Mom (and she was merciless, let me tell you! ), I must pony up. So I’ll do what I usually do and file an extension until my friend and former Navy shipmate is no longer swamped (he’s a tax preparer). So I’ll haul my paperwork over to his place, he’ll work on my taxes while I make him one of my world famous alcoholic cream pies. Then we’ll hoist a few and tell sea stories. So after I’ve choked out that bit of paperwork I have something special planned for today. Its off to the range for me. I have bought a new rifle and it seems apposite to fire a few rounds downrange, just to show the bastids. Just to remind me who’s in charge here. You may call me dreamer, given how deep the government has sunk its hooks in me, in all of us. Yes, I too am a dreamer. I dream of America free from the mental and spiritual chains against which I have often railed in these electronic pages. So it occurs to me that that some members of the Republican Club of the Foothills might be interested in exercising their 2nd Amendment rights at the Angels Shooting Ranges on April 17, which just happens to be Income Tax Day this year. I propose to be out there at about 12.00 noon or shortly after, just to discharge a little frustration at being so viciously bled, and have a good time sending hot lead downrange. I will bring a lunch and stay till 2.00 pm. So bring your shootin’ irons, get some much needed practice and have a fun time. Besides, if the info on the website is correct, old codgers get a discount on Tuesdays. Not, mind you, that I admit to being an old codger. Date and time: April 17, 2018, 12 Noon-ish to 2.00 PM. Hope to see you there. We’ll show the bastids. The La Canada Valley Republican Women’s Federated is having their monthly meeting on April 12, 2018 at the Oakmont Country Club. This month’s featured speaker is Evan Sayat. Location: Oakmont Country Club, 3100 Country Club Dr. in Glendale. RSVP by April 9, 2018 to either Ellen 818-248-0924 or Joan 818-790-0014 Please note that you must RSVP by that date if you expect to eat. You don’t want to face our current political mess either hungry or sober. Please note that this is NOT a BYOB event, which, for the excessively literal minded, is said in jest. The LCVRWF will provide neither booze nor hankies. And we pay them money for this? The things that our governments, Federal, State and local, spend money on boggles the mind. 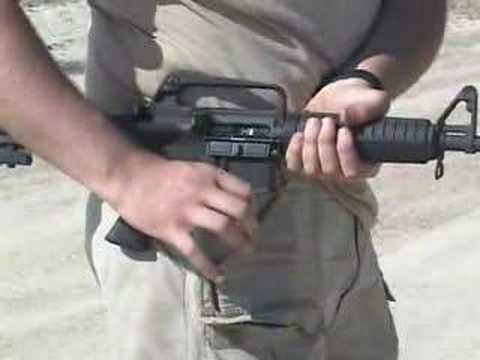 It seems that there is a move afoot to ban the so-called ‘bump-stocks.’ Bump stocks are devices that enable the recoil of a semi automatic rifle (could be pistols too) to fire more rapidly, thus simulating the rate of fire of an automatic weapon. You may recall that the Las Vegas mass shooting was said to involve a bump stock, enabling the shooter to fire very rapidly, and very randomly into the huge crowd below. In the immortal words of Ronald Reagan’s first Secretary of State, Alexander Haig, let me caveat that. After the initial reports a great and uncharacteristic silence has fallen on that event. As with the Charlottesville ramming all attempts to uncover the facts have been stonewalled. Its almost like persons unknown are trying to prevent certain facts from coming to light lest they reflect badly on a certain political party or ideology. The one take away from that tragedy was the bump stock issue. Then, following the Parkland school shooting President Trump gets on board and pronounces bump stocks bad, very bad. Sigh. Even considering he’s a golfer, not a shooter, he ought to know better than grant them even the slightest scintilla of a fragment of a fig leaf of legitimacy. As if anyone couldn’t get a bump stock effect with a belt loop on their pants. Well, anyhow, the proposed ban is clearly unconstitutional as it is clearly an infringement of the 2nd Amendment. Not that such a petty bagatelle would restrain the wannabe slave owners in Corruptocrat Town, DC, Sacramento or Los Angeles, for that matter. Absent legislation emanating from Congress the way to do that would be to have the Bureau of Alcohol, Tobacco and Firearms to issue a regulation banning the things. The BATFE must respond to comments before they can publish. Not long ago an attempted ban on “green tip” ammunition was turned back when the BATF got slammed; they literally gave up. (H/T The Market Ticker) So go here and do the same thing — click “Comment Now”. Submit comments in any of three ways (but do not submit the same comments multiple times or by more than one method). Hand-delivered comments will not be accepted. Federal eRulemaking Portal: ATF strongly recommends that you submit your comments to ATF via the Federal eRulemaking portal. Visit http://www.regulations.gov and follow the instructions for submitting comments. Comments will be posted within a few days of being submitted. However, if large volumes of comments are being processed simultaneously, your comment may not be viewable for up to several weeks. Please keep the comment tracking number that regulations.gov provides after you have successfully uploaded your comment. Mail: Send written comments to the address listed in the ADDRESSES section of this document. Written comments must appear in minimum 12-point font size (.17 inches), include the commenter’s complete first and last name and full mailing address, be signed, and may be of any length. (4) Be no more than five pages long. To go directly to the comment page click the image below. Will they never shut up? Evidently not. Six weeks plus after the Parkland school shooting the Left is still hammering away at gun control. For some strange reason they seem to think that if they try hard enough to jam it down America’s throat we’ll all just swallow it and say “Thankee.” I think NOT! 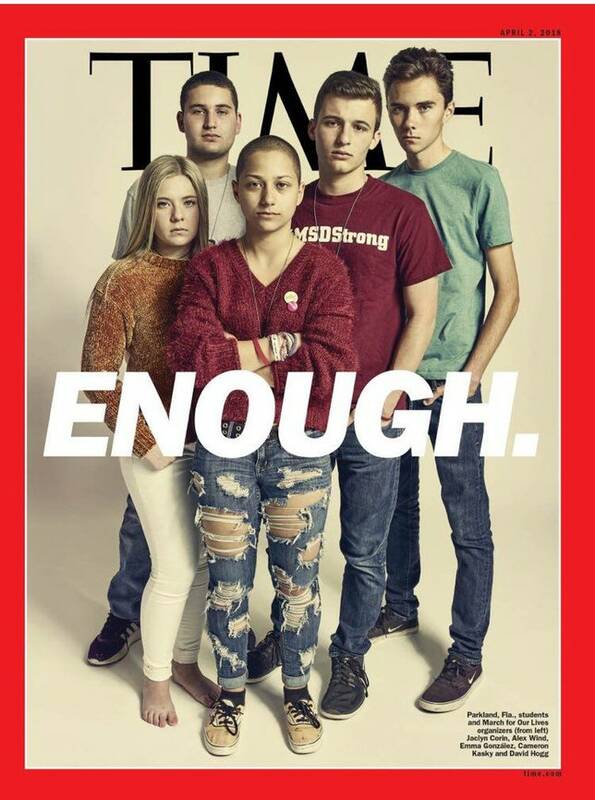 Front and center are the Teenage Mutant Ninja Twerps led by the unfortunate David Hogg, who at the least is certainly an attention hog. Sadly all the attention has begun to break down his psyche and the alleged savoir faire with which he faced the media. It turns out that he has quite the potty mouth when he’s provoked to anger. And he certainly knew how to go after Laura Ingraham. 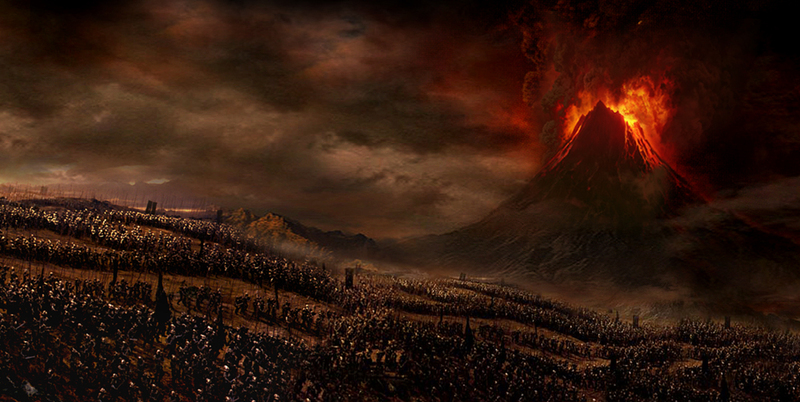 David, David, know you not that whom the gods would destroy they first make mad? Well, in all fairness, that goes for all the Marching Morons of the Socialist Left. It must be admitted that Laura made a grave tactical error, not because she taunted young Master Hogg for being unable to get accepted at any university to which he had applied with a 1.0 grade average (don’t know if that is his true GPA or not). Laura, dear heart, I love you madly, but please, NEVER apologize to a leftist lunatic. It only encourages them. You should have said something like, “David, you have stepped up to play in the long pants league. If you can’t stand the heat get out of the kitchen.” Same goes for you, gentle readers. NEVER, but NEVER apologize to the Orcs. So the Teenage Mutant Ninja Twerps, we are told, spontaneously organized a national movement that resulted in a school walkout and a big march on the National Mall in the Hive of Scum and Villainy Washington DC last week. Supposedly all the Wannabe Teenage Mutant Morons in the whole wide world were scheduled to show up. But the folks that showed up were only about 25% of the expected crowd, average age: 49. But it turns out that the March 24 date was booked months in advance, and it wasn’t the Twerps that organized it. It was total astroturf agitprop from start to finish. Unexpectedly. In their mad rush to push the nation to disarm itself in preparation for the inevitable triumph of Socialism the Left has begun to admit what their goal has been all along, not common sense gun laws but repeal of the 2nd Amendment and total confiscation of our guns. First we had retired Justice Stevens, and now we have Rep. Debbie “Dingbat” Dingell (D-MI) and Rep. Fred “What’s Up” Upton (R-MI) introducing legislation to create a Federal law allowing firearm confiscation orders. This would work by declaring certain people to be a danger to themselves and others and so be targeted to be forcefully disarmed. If they were to attempt it all at once the madness would stop, but because they advance by, in Rush Limaugh’s phrase “creeping incrementalism”, most people won’t notice until suddenly they are labelled as dangerous. Meanwhile the law of unexpected consequences kicks in and there’s pushback. Gun sales are, once again, up. The 2nd Amendment is viewed more favorably by Millenials than by Generation X. 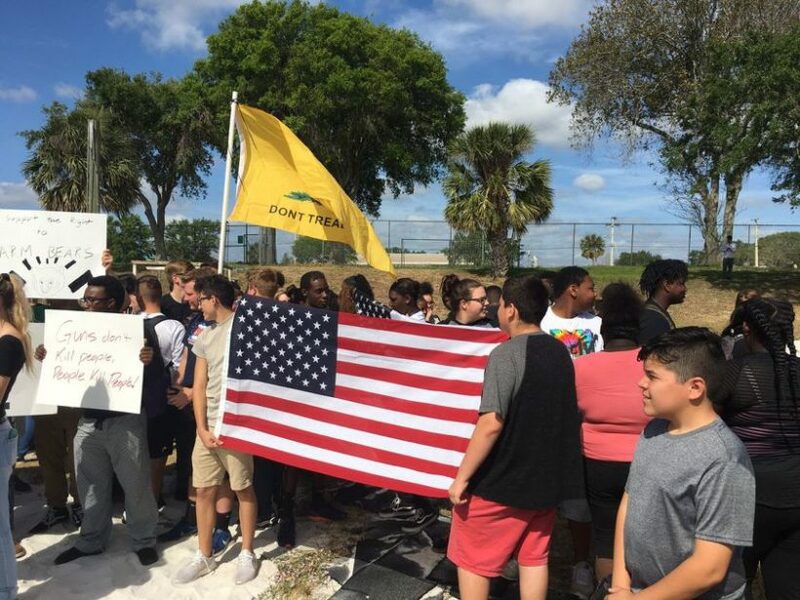 Students in Rockridge, Florida, staged a school walkout last Friday in support of the right to keep and bear arms. Pushback is not without cost, and so it is that a High School history teacher in Rocklin California was suspended for daring to discuss in class whether students should have the right to stage walkouts for right wing as well as left wing causes. A few weeks ago your humble (so NOT!) 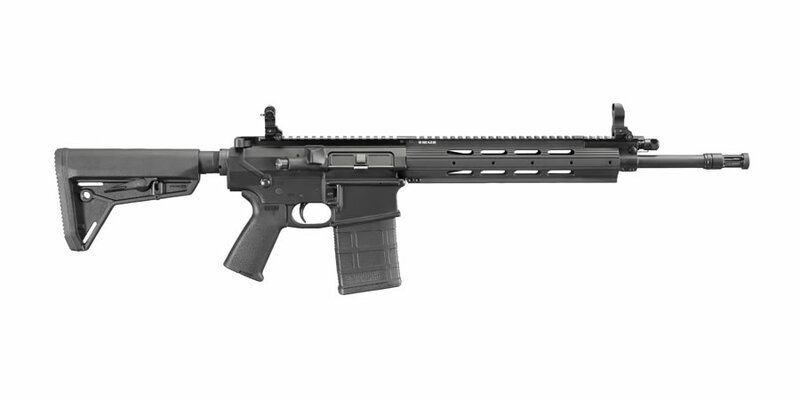 correspondent was considering the purchase of a Ruger SR-762, a solid contender for plinking and general all-around bad-assery. Of course it would have to be ‘Californicated’ to suit the wimps in Sacramento who don’t know a clip from a magazine or an assault rifle from a varmint gun. But upon mature (ahem) consideration and subject to immediate availability, yours truly has given serious consideration to the more traditional Springfield M1A SOCOM 16, a civilian version of the venerable M14, which also fires the .308 AKA the 7.62 NATO round. Heh. Bring your own food and beverage. We could make it like a picnic.